The call for participation is now open and paper submissions can be submitted here. The LAC-19 program has been published! The detailed program of LAC-19 is now available on this website! Information on how to attend to LAC has been posted! The Call for Participation has been published! The 2019 Linux Audio Conference Call for Participation has been published! Paper submissions can now be made through our portal. The LAC-19 website is online! The LAC-19 website has been published on the web! Individual papers can be downloaded directly from the conference program. The Full proceedings is also available here. Presentation of LAC-2020 By Jean-Michaël Celerier & Round Table: "What's the Future of LAC?" Note: if your paper/performance has been accepted to LAC-19, you don't need to do that. The LAC-19 club night will take place on March 25, 2019 at 7pm in the CCRMA courtyard. It will feature music from members of the community in a "club/party setting". There will a BBQ and soft and alcoholic beverages will be served. This event is free and anyone can attend to it. However, if you wish to get access to the food and drinks, you'll have to buy a ticket (flat rate: $25) upon check-in at the conference on March 23, 2019. If you cannot be present at the conference that day (and only in that case) and would like to make a reservation to get access to the food and drinks at the LAC-19 club night, please send us an e-mail at lac_AT_linuxaudio_DOT_org, and you'll be able to pay for it directly at the event. Public Transportations: take the BART (see the map) at SFO to the San Bruno (or Milbrae depending on the time you arrive) station, and then change for Caltrain to Palo Alto. Be aware that this solution is FAR from being optimal and we strongly recommend you to opt for one of the following options. Take an UBER (~$45), a Lyft (~$45), or a cab (~$80). Take a shared ride van like SuperShuttle (~$30). From SJC: San Jose International Airport is a nice alternative to SFO (less crowded and closer to Stanford). There is no public transportation option to get from this airport to Stanford: you'll have to use UBER, Lyft or take a cab. Good luck! For more information, see the AMTRAK website. There's a public parking lot near Tresidder Union, which is very close to the conference venue (Dinkelspiel Auditorium). Parking is free on Saturday and Sunday. 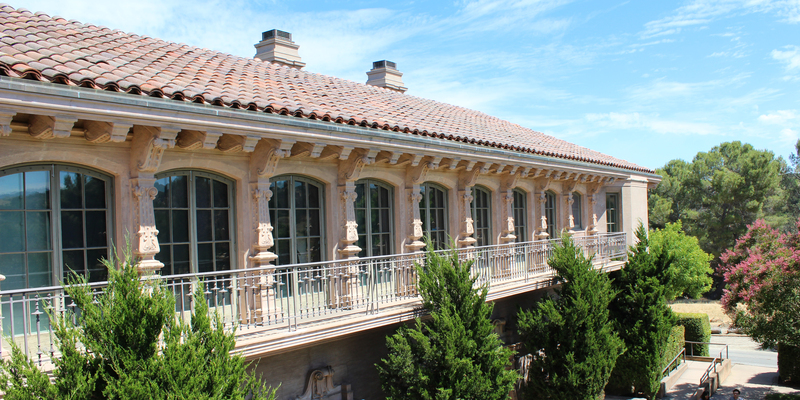 Alternatively, you can also park at CCRMA (weekend only, a special permit is needed during weekdays). 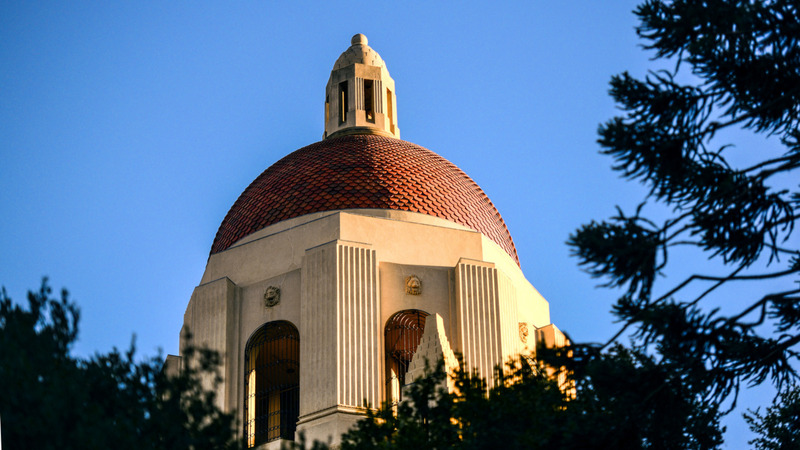 There are dozens of hotels around Stanford (none of them is on campus though). Be aware that Palo Alto is one of the most expensive city in the world :( so don't be surprised by prices. AirBnb is a good alternative. Also, it might be worth staying a bit further away (e.g., Redwood City) and take the Caltrain to get to campus. 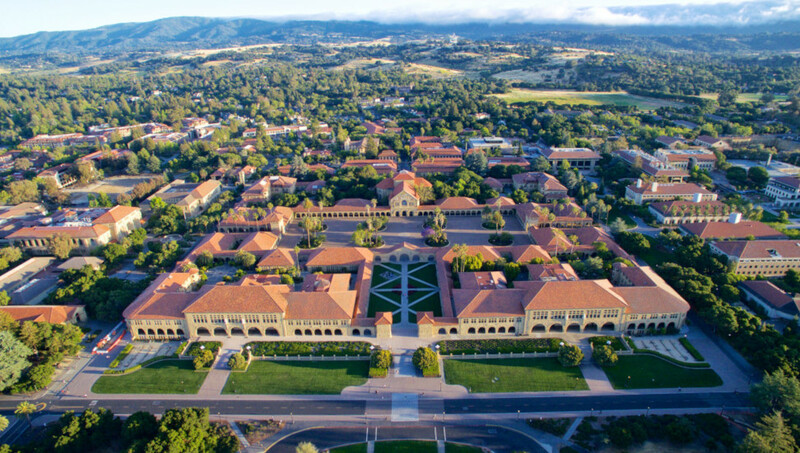 Stanford campus is BIG and walking from your hotel to the conference venue might not be an option. Stanford has its own bus network called "Marguerite." It's nice and FREE. Renting a bike during your stay might also be a good option. LAC-19 will be video streamed at the following URL: https://ccrma.stanford.edu/lac19/stream. The easiest way to open this link is to use VLC. Just go in "Media/Open Network Stream." To interact with presenters during question sessions, we kindly ask you to use the LAC-19 IRC channel: http://webchat.freenode.net/?channels=lac2019. 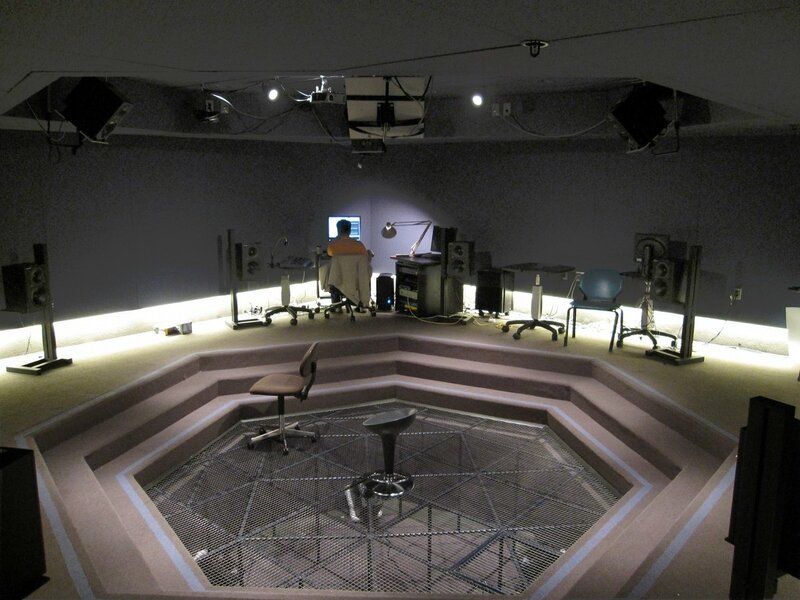 The CCRMA Listening Room features a 22.4 speaker system that can render up to 3rd order Ambisonics (and has speakers under the floor). It will be available for demos and installations. 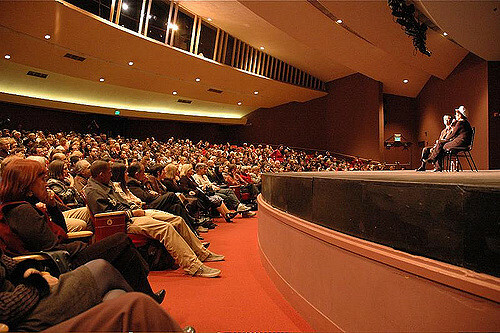 Paper sessions will be hosted in the Dinkelspiel Auditorium. Located adjacent to the Braun Music Center, across from Tresidder Student Union, and 7 minute away from CCRMA, Dinkelspiel Auditorium is a large 710-seat performance and lecture hall. Social events such as the "club night" will be hosted at CCRMA, also known as "the knoll". Concerts will take place on the CCRMA Stage. This 60 seats modular space features a 56.8 full 3d sound system that can render up to 6th order Ambisonics sound. 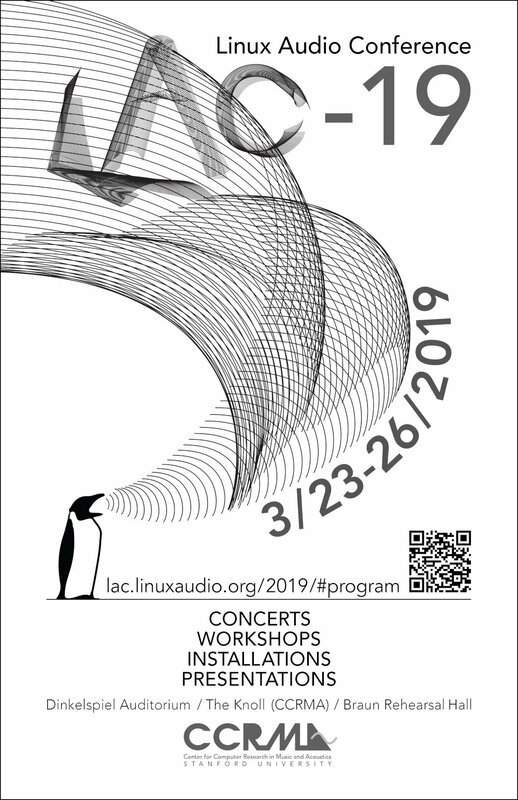 LAC 2019 invites submissions of papers, posters, and workshops addressing all areas of audio processing based on Linux and open source software. All submissions and presentations are in English. Submitted papers are expected to respect academic standards and must be complete (a simple abstract is not enough). Submissions can focus on technical, artistic, and/or scientific issues and can target developers and/or users. Full papers must be written and presented in English. The length of papers is 4 to 8 pages, with up to 5 keywords, including an abstract of up to 200 words. The abstract will be published on the conference website once the paper has been accepted. The full paper will be available on the website during and after the conference. All papers are peer reviewed by a committee of experts from different disciplines. Reviewers may suggest improvements to the author(s), or require changes in order to accept the submission. The duration of the presentation is 25 minute followed by a 5 minute discussion. Poster papers must be written in English, should be 2-4 pages, with up to 5 keywords, including an abstract of up to 150 words. The abstract will be published on the conference website once the poster has been accepted. All posters are peer reviewed by a committee of experts in different disciplines. Reviewers may suggest improvements to the author(s), or require changes in order for the poster to be accepted. Demos are informal project (e.g., plug-in, software, interface, idea, etc.) presentations that will be carried out in parallel with poster presentations. Demos can be submitted through this online form to be added to the conference program. Workshop presentations (max duration of 2h) should be 1-4 pages, with up to 5 keywords, including an abstract of up to 150 words to be published on the conference website. Make sure that your proposal indicates if participants are expected to have a specific level, if there are prerequisites, if you'd like to limit the number of participants, etc. 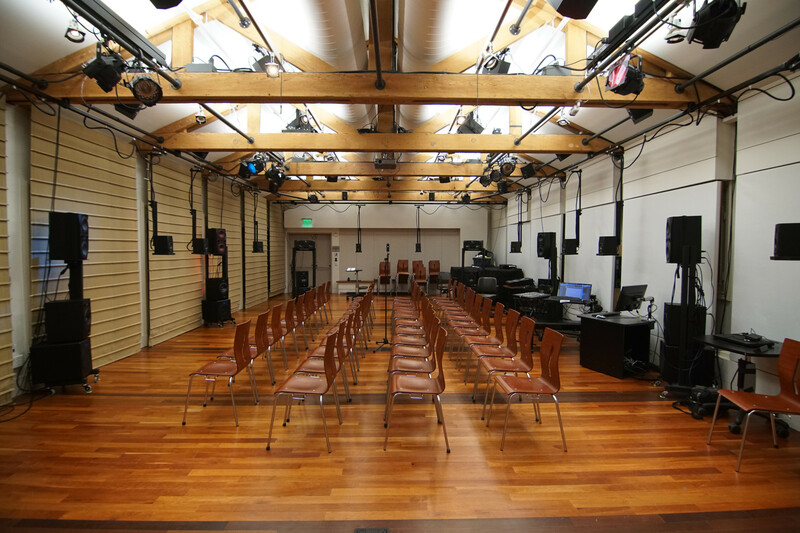 Workshops will take place in the CCRMA classroom (which can host approximately 30 people). A projector and a 4 channels sound system will be available in this space. Submit a brief description of the workshop including a URL (if available). How to Submit Papers / Posters / Workshops? The required file format is PDF. Authors must use the provided templates for paper formatting. Please let us know if you need a special technical setup for your presentation. LAC 2019 also invites submissions of musical works involving the use of technology/open source software and multimedia installations. A jury will select the compositions and installations to be included in the conference program according to artistic merit and technical feasibility. Please be prepared to perform your work yourself and make sure that you have all resources needed to perform your piece (e.g., instruments, props, other performers, etc.). LAC 2019 cannot pay for any expenses related to a performance (e.g., performers, travel, accommodation, special equipment, etc.). SCLOrk will be available to perform new (or old) laptop orchestra compositions, so this type of submission is encouraged this year! SCLOrk is the Santa Clara Laptop Orchestra and uses exclusively Linux computers. SCLOrk (the Santa Clara Laptop Orchestra). Pieces accepted for a performance with SCLOrk will be added to the rehearsal schedule of the corresponding SCU class. Additional requests can be made but are not be guaranteed. How to Submit Music / Multimedia Installations? 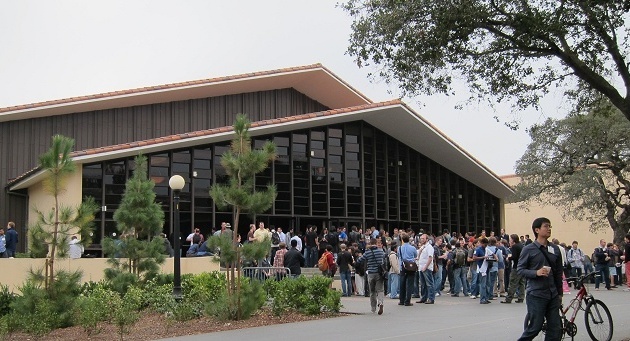 The Linux Audio Conference welcomes and encourages participation by everyone. We want to foster a variety of perspectives, and our goal is to create an inclusive, respectful conference environment that invites participation from people of all races, ethnicities, genders, ages, abilities, religions, and sexual orientation. LAC is dedicated to providing a harassment-free conference experience for everyone, regardless of gender, gender identity and expression, sexual orientation, disability, physical appearance, body size, race, age or religion. We do not tolerate harassment of conference participants in any form. Sexual language and imagery is not appropriate for any conference venue, including talks. Conference participants violating these rules may be sanctioned or expelled from the conference at the discretion of the conference organizers.